Samsung may be working on a new variant of the Galaxy J6. This mid-range device is expected to feature the Qualcomm Snapdragon 450 processor. 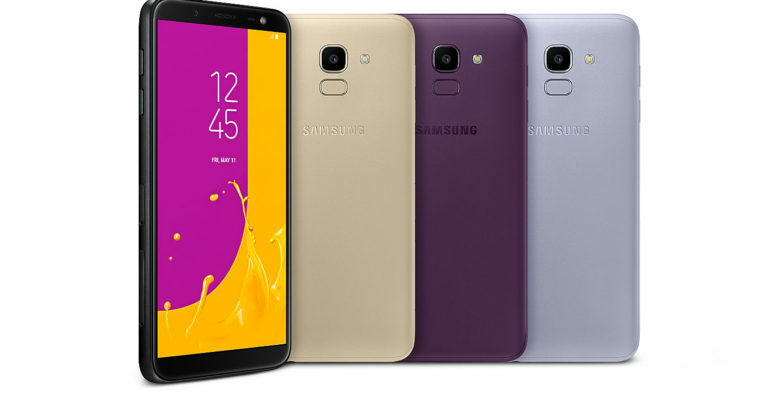 The Galaxy J6+’s existence has been discovered in the firmware files for a model number “Samsung J6-Plus LTE CIS SER,” which suggests that this handset may be available in the Commonwealth of the Independent States and Serbia. It may also be sold in other markets across the globe. The company launched the Galaxy J6 earlier this year and it rebranded the handset to Galaxy On6 for the Indian market. Given that Samsung has a history of launching its Galaxy J series handsets as rebranded Galaxy On series smartphones, it’s possible that the Galaxy J6+ may also be launched in India as the Galaxy On6+. Instead of the Galaxy J6’s Exynos 7870 processor, the Galaxy J6+ is expected to feature a Qualcomm Snapdragon 450 processor. It will retain the 5.6 inch 1480×720 resolution 18.5:9 aspect ratio display but will add dual rear cameras. The battery capacity may also be bumped from 3,000mAh to 4,350mAh. Samsung hasn’t acknowledged the existence of this device as yet so it can’t be said for sure right now when it’s going to be made official. The company probably won’t make a big fuss out of the launch since it’s an affordable device. It’s also unknown which additional markets other than the CIS and Serbia will get the Galaxy J6+.